Linn Records review | What Hi-Fi? When Linn engineers were testing the company’s flagship Sondek LP12 turntable in 1972, the story goes that the poor quality of the specialist test LPs meant they just weren’t up to the job. By 1982 Linn had taken matters into its own hands, buying its own record-cutting lathe to press its own LPs instead. In 1984, it released its first album – A Walk Across the Rooftops by The Blue Nile – and Linn Records was born. Since then, Linn has embraced the move from physical media to digital from the very start. While it still produces CDs, SACDs and vinyl, it also releases every album on its label as a Studio Master download, all available on the Linn Records website. Its catalogue of artists specialises in classical, jazz and Celtic music (due to its Glaswegian roots), and there are now over 400 albums available to download, from CD quality up to 24-bit/192kHz in FLAC or ALAC only. Previously, Linn has partnered with Universal to sell some of its back catalogue through the Linn Records website, but all the albums currently listed appear to be homegrown. This makes its catalogue feel a little limited. While it’s hard to criticise it for only selling Linn Records albums, it’s certainly a more specialised website, even compared with something like the classical-only Primephonic. 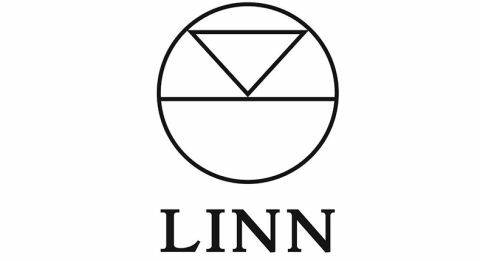 For those who are interested in what Linn Records has to offer though, all the recordings are found within the wider website, under the ‘browse’ tab. The search facility allows you to select genre, record label (perhaps redundant now Universal recordings aren’t involved) and format, as well as sort by title, artist or release date. Alternatively, you can scroll through all 400 albums, as they appear on one page, with a small thumbnail of the cover art and logos to show you what formats they are available in. While this page is relatively straightforward, the rest of the website is a little busy, but manageable. You’ll find Linn news and reviews along the navigation tabs at the top, as well as a link to Linn’s web radio stations and a list of tour dates for Linn artists. Back to the browse page, click into any one of the albums and you’ll be presented with your purchase options, a tracklisting (with clickable previews) and some album information and notes. It depends on the album as to how long this will be, but some are ridiculously so, and presented poorly in a way that doesn’t make for very appetising reading. It’s a small niggle, but Linn could take a leaf or two out of Primephonic’s book for improving this side of the user experience. Pricing appears to be pretty standard across the board at £18 for either 24-bit/192kHz or 24-bit/92kHz and £10 for CD quality. Tracks can be bought individually for around £1.80 or £3.60 depending on length. This does seem on the pricey side compared with other download services, but if you’re specifically looking for a Linn recording, we haven’t been able to find them anywhere else. We download a selection of albums, including William Orbit’s 2009 album My Oracle Lives Uptown, which was released on Linn’s label. It’s a clear, lively sound, with plenty of drive and enthusiasm. Rhythmically it doesn’t miss a step, and there’s lots of detail too. Moving on to Haydn’s Symphony No 70 from the Scottish Chamber Orchestra and instruments are superbly layered with enough space to breathe. Big dynamic sweeps are handled with aplomb and there’s an absolute precision to the stopping and starting of notes. Great quality recordings from a rather narrow pool of artists make this a rather specialised service, but for its intended audience it does its job. We’d like the website to be a little less busy and for the reams of editorial content to have a little more structure and direction to make it more useful though. But despite these niggles, Linn Records gets an encouraging four stars.